Rico and G. started collecting music in the late 90’s from revival roots to uk dub style. They then realised they need powerfull sound system to play their selections in Geneva and French underground venues. In the early 2000’s they decided to build their own sound system. Inspirated by the uk and Jamaican sound system, heavy bass scoops were build, to drop some heavy bass pressure, sharp mid and top range section to get the proper feeling of the reggae and dub music as it should be. Influenced by different music, they developped their own style. O.B.F. had to be unique in the soundman business to go forward. They love roots reggae and world music but they also like the new digital stuff comin from everywhere. O.B.F. creates music with all kind of drum machine and synth, mixing roots rock reggae with new digital sounds. Their style brought a fresh breeze in the dub world, and finally they get the French Dub touch. 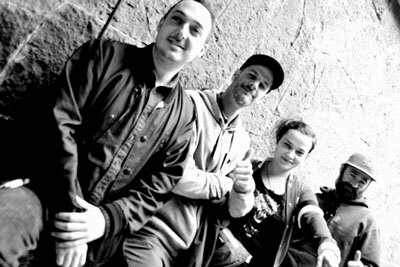 Now a regular on the european reggae scene, O.B.F play to rock the nation and make people dance on conscious bass music. Have a look on their new label O.B.F record and Dubquake.